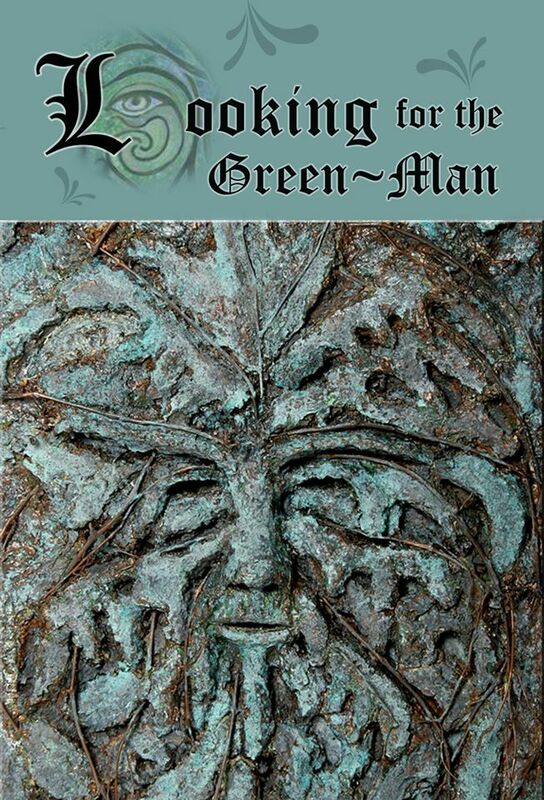 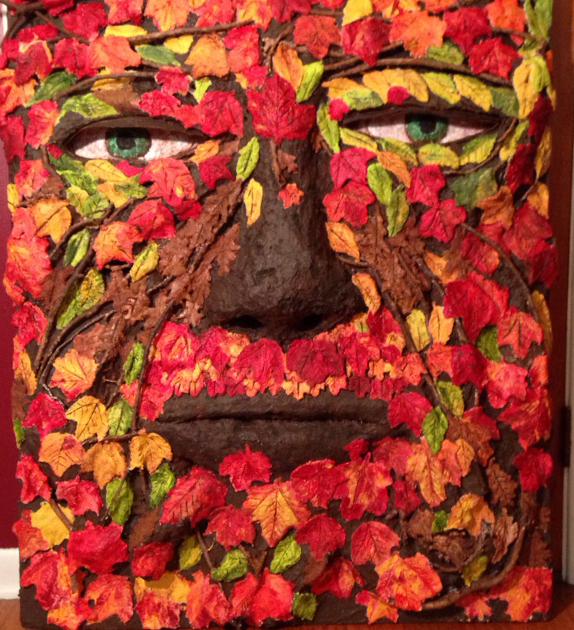 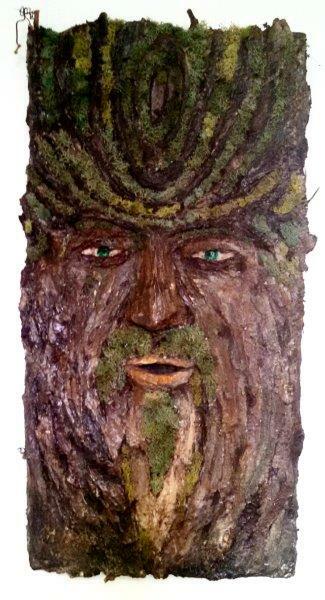 Learn more about each looking for the green man art piece HERE! 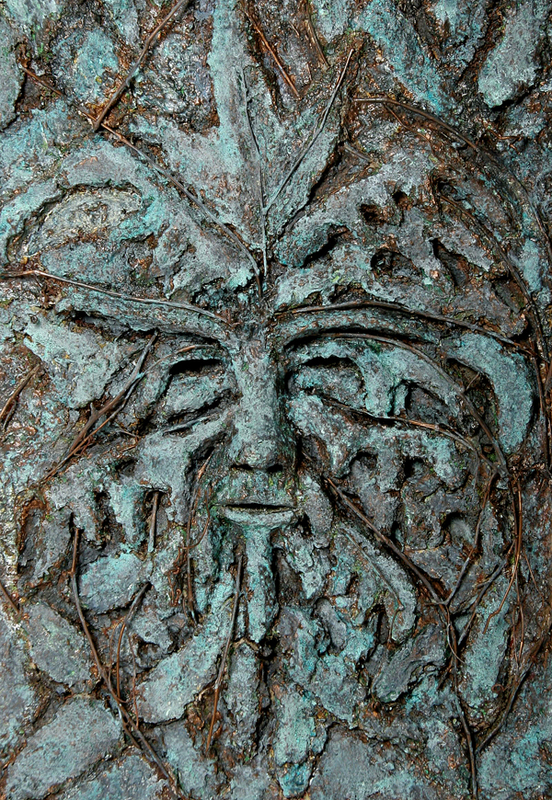 The Green Man is a mythical concept of the spirit of the forest, frequently depicted as a Man’s face, usually from middle aged to elderly, appearing out of the wild forest. 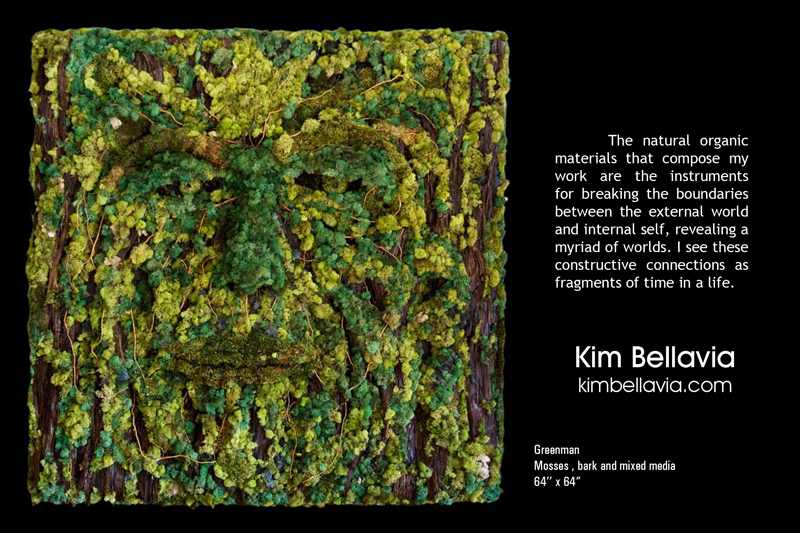 His face is always encompassed by leaves, vines or flowers seeming to be literally born out of the natural world. 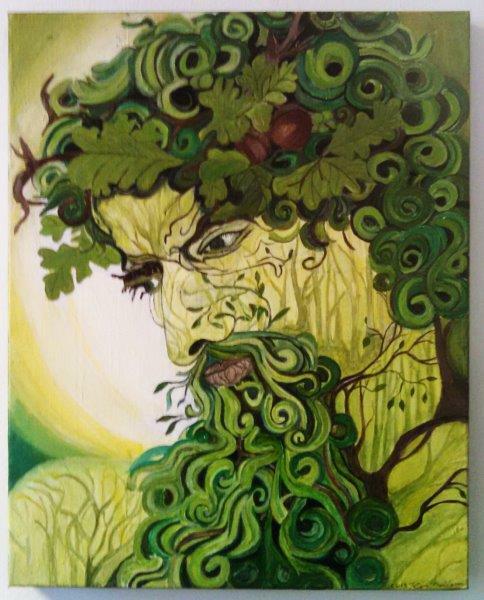 He is a representation of the wildness in nature and a symbol of growth, rebirth and the cycles of the seasons and life. 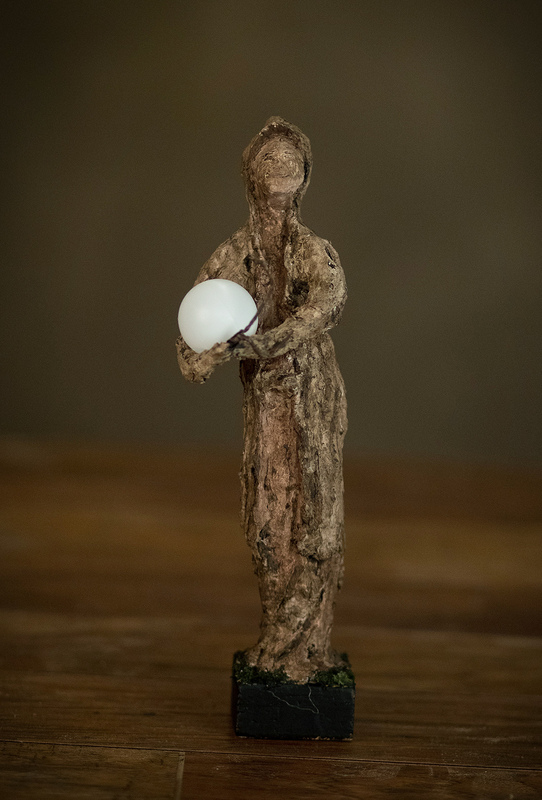 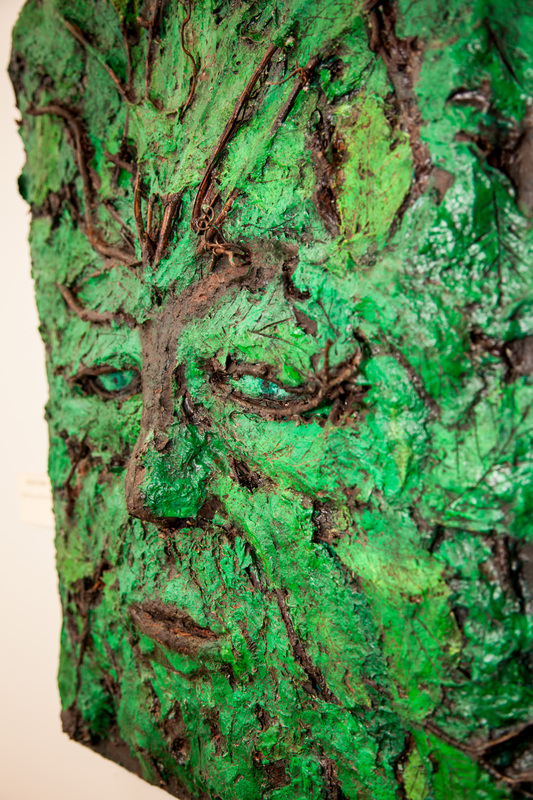 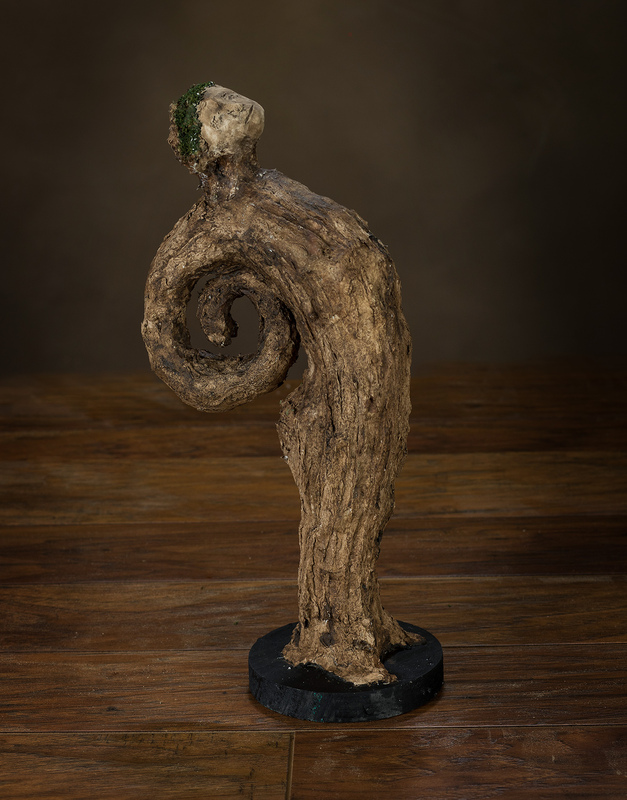 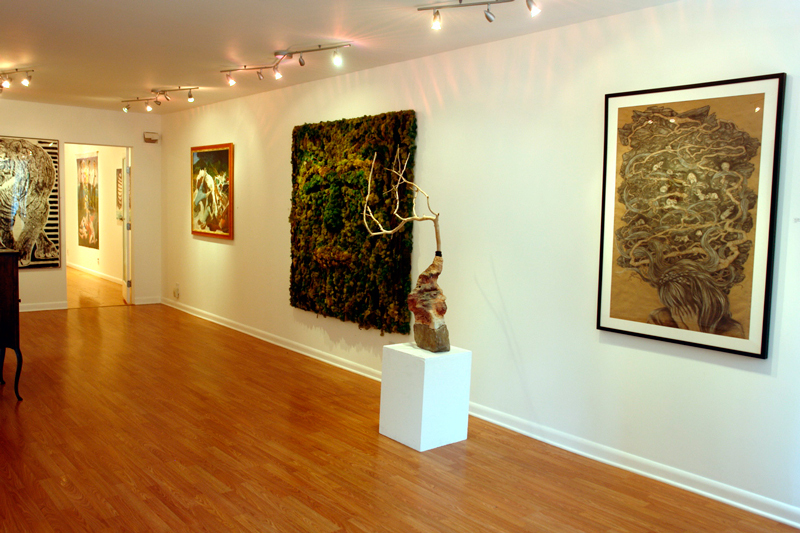 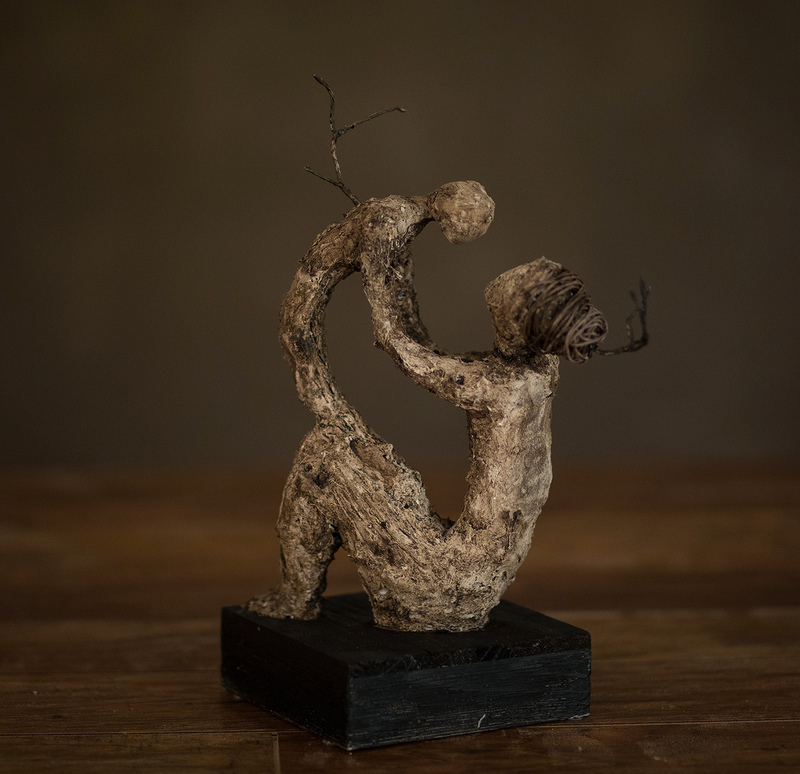 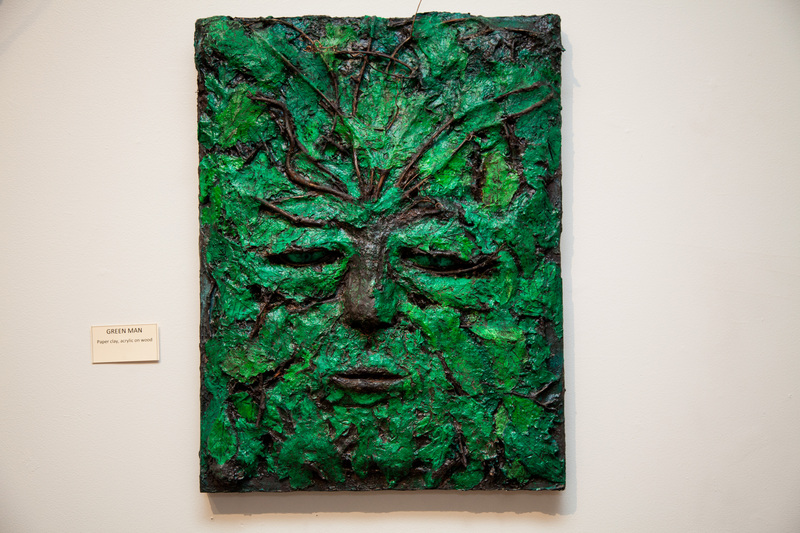 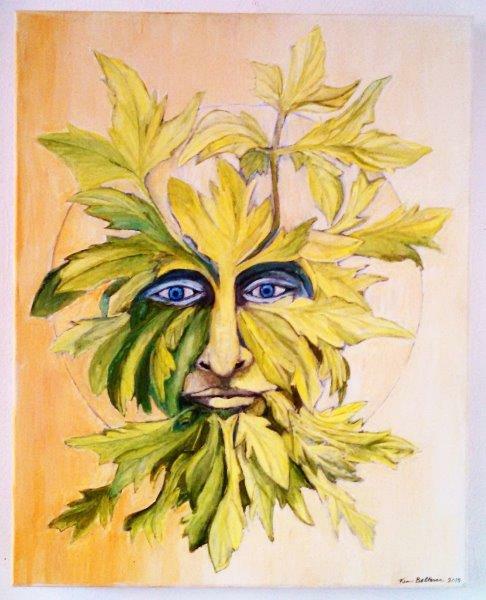 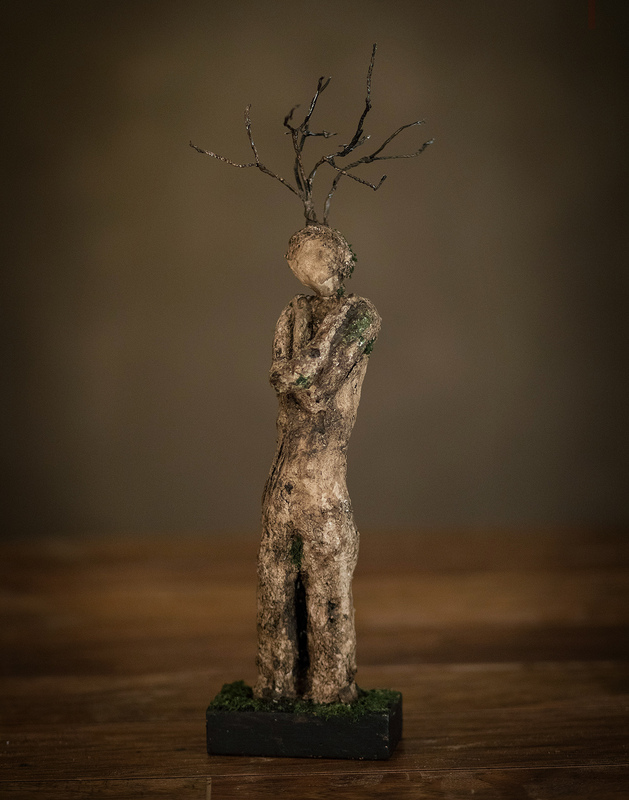 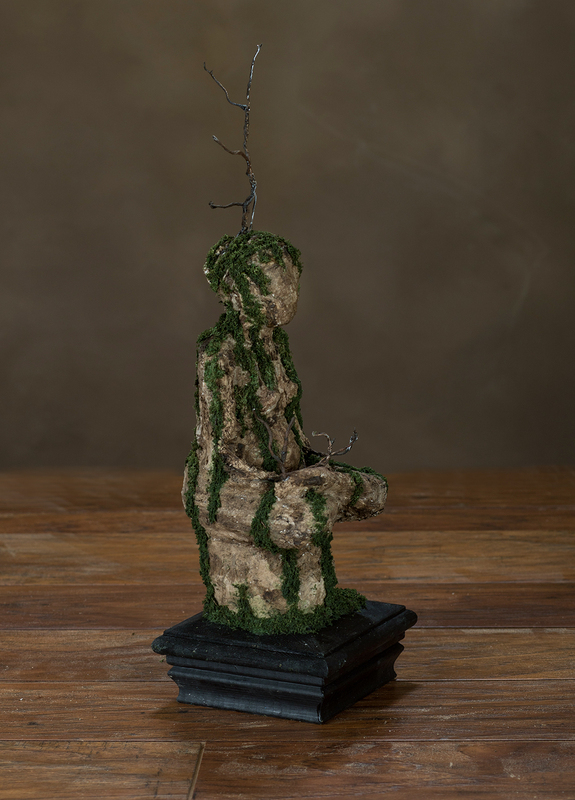 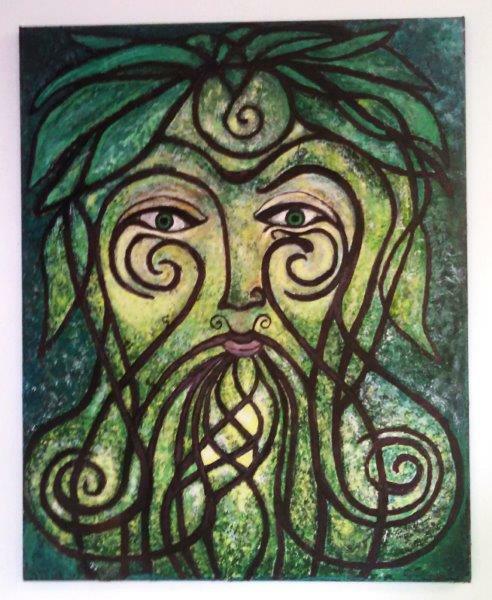 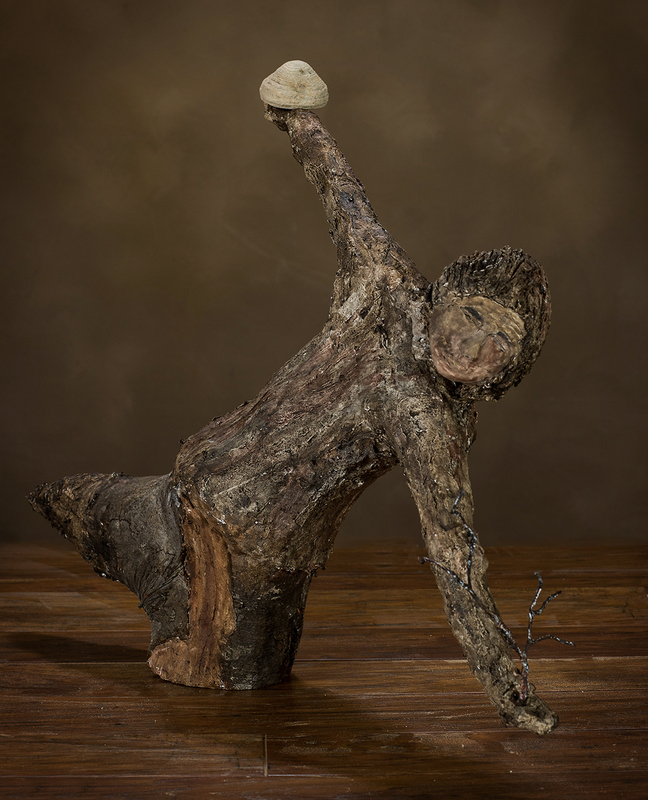 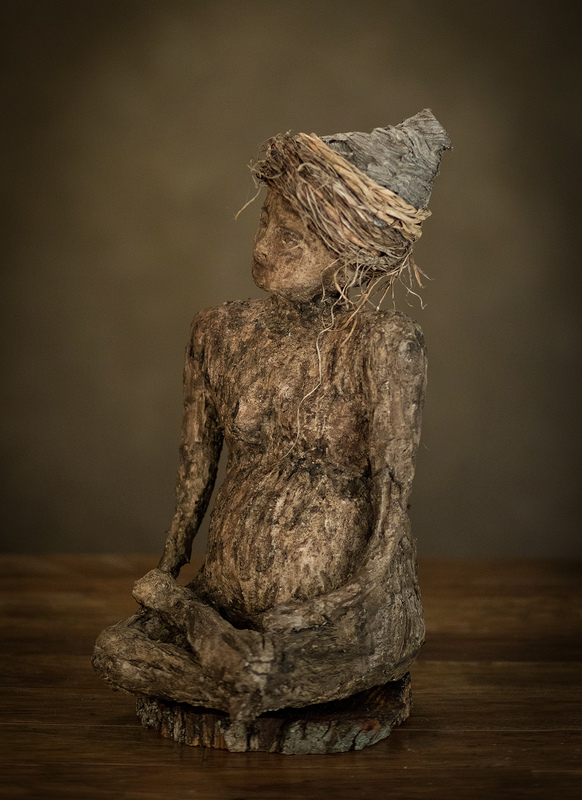 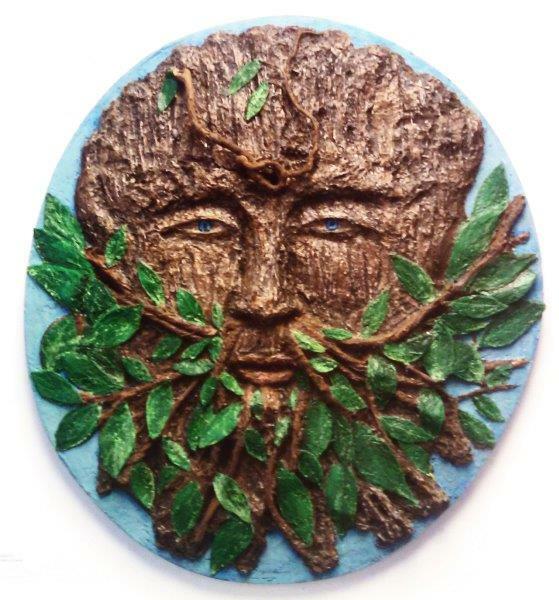 This work humanizes the mythical concept of the Green Man as consort to mother earth as a reminder of the importance of the natural environment on this planet creating a link to art and nature and the appreciation of the natural world.